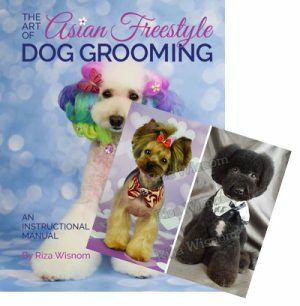 The Art of Asian Freestyle Dog Grooming is a comprehensive manual written and photographed by Riza Wisnom, internationally known Asian Freestyle artist and instructor. 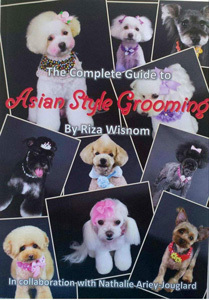 In this book she’ll teach you the adorable cartoon cuts of the Far East step by step! 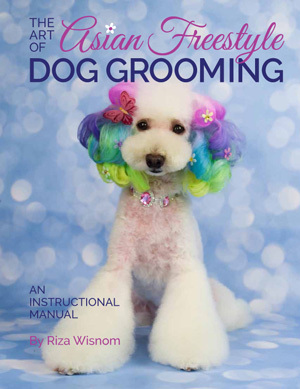 Each tutorial contains detailed instructions for an easy to follow road map to success. 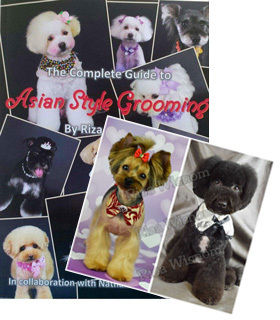 Enjoy over 128 pages of glorious color photos!